1Insert 1/2 cup maple syrup between spiral ham slices. 2Mix all ingredients for the rub together. Spread over entire ham. 3Wrap in plastic wrap overnight. 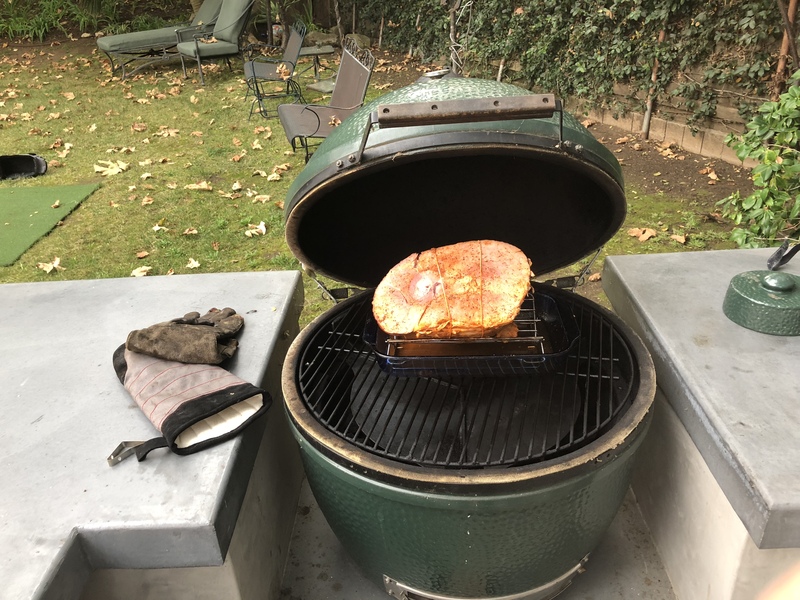 1Heat the Egg to 225 degrees. 2Bring out the ham 30 minutes prior to adding to Egg. 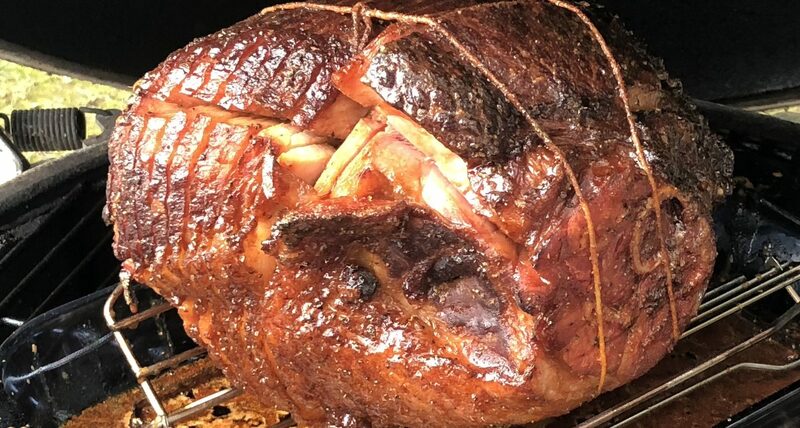 Add some soaked apple wood chips just before you add the ham. 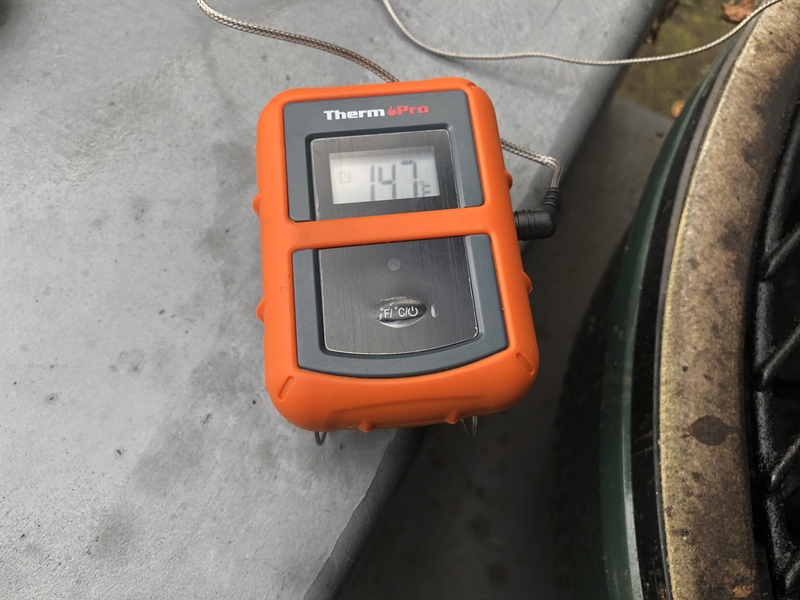 4Keep heating until around 120 degrees. 1Mix all glaze ingredients together. Heat in a sauce pan or microwave to mix. 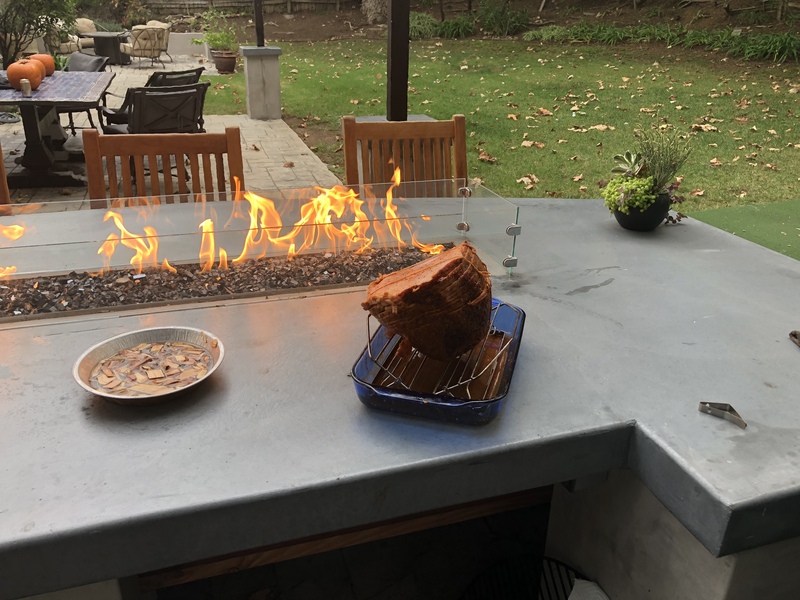 2After the ham reaches 120 degrees. Start basting every 20 minutes with the glaze. 3Take it off the egg at 145 degrees. Cover with foil until ready to serve. 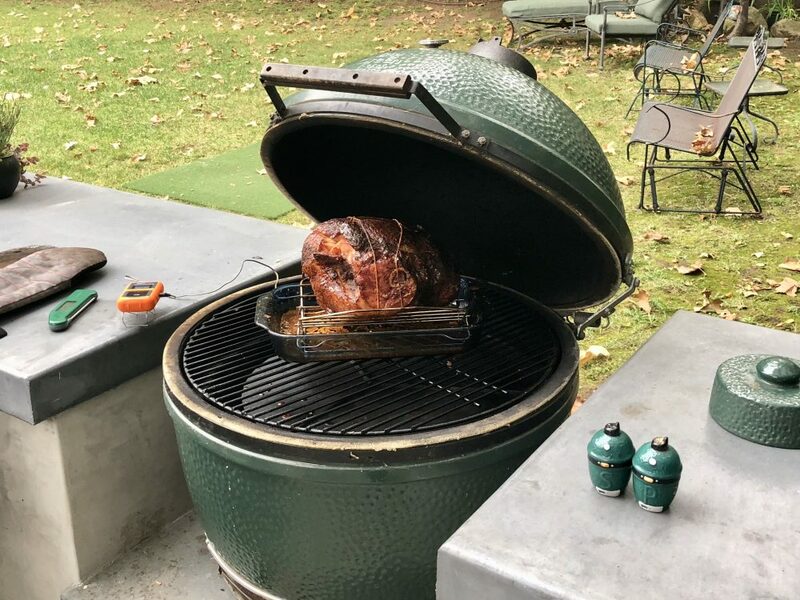 4Ham on the Green Egg.